Blame it on the pigs. 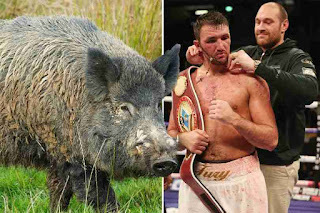 In a move that has astonished fans and foe, disgraced boxer Tyson Fury has blamed wild boar for his failed drug test. 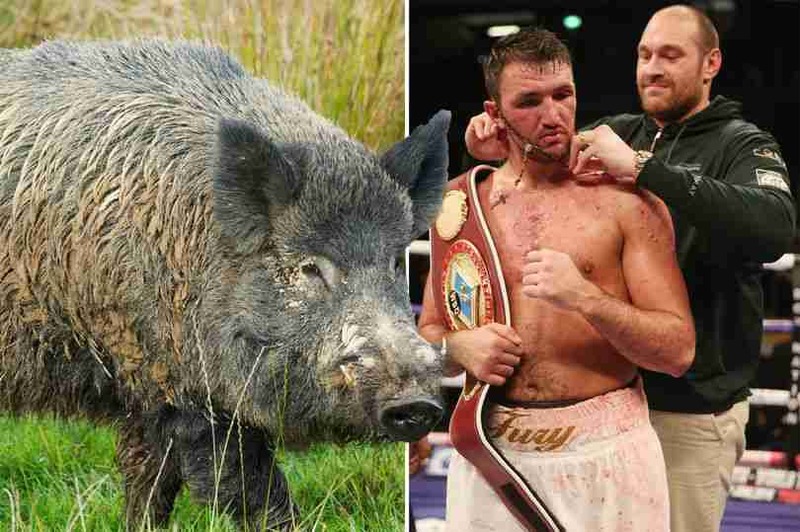 The controversial boxer and his cousin Hughie will claim they didn't pass the drugs test because they ate a whole boar - including the guts, every single week. The 28 year old 6ft 9in former heavyweight Boxing champion faces a National Anti-Doping Panel next month where he has been accused of taking notorious banned anabolic steroid nandrolone. The outspoken fighter strongly denies the charge. After he was suspended by the British Boxing board of control, he voluntarily gave up his WBA, WBO and IBO belts. But in a new and almost hilarious twist, Fury, who has previously admitted to taking cocaine, will argue that he failed the test due to contaminated boar offal he consumes with fellow bower relation Hughie. 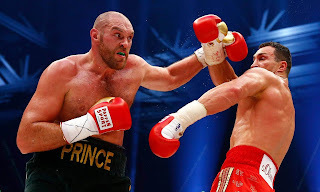 Fury's Unbeaten record was greatly tainted by the drug test, and he hasn't fought since beating Wladimir Klitschko in November 2015 to unify the world heavyweight titles. His hopes of returning to the ring in May seems to be shattered after his drug ban remained in place. The former world heavyweight champion has claimed he could be back in the ring as soon as July, saying he will be on the undercard for Billy Joe Saunders' world title fight. Despite his troubled career, Tyson's antics are missed since they brought alot of excitement and colour in and outside the ring.